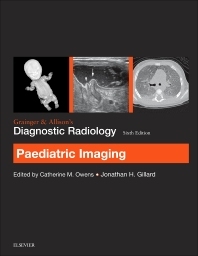 The 8 chapters in this book have been selected from the contents of the Paediatric Imaging section in Grainger & Allison’s Diagnostic Radiology 6e. These organ-specific chapters provide a succinct up-to-date overview of current imaging techniques and their clinical applications in daily practice and it is hoped that with this concise format the user will quickly grasp the fundamentals they need to know. Throughout these chapters, the relative merits of different imaging investigations are described, variations are discussed and recent imaging advances are detailed.